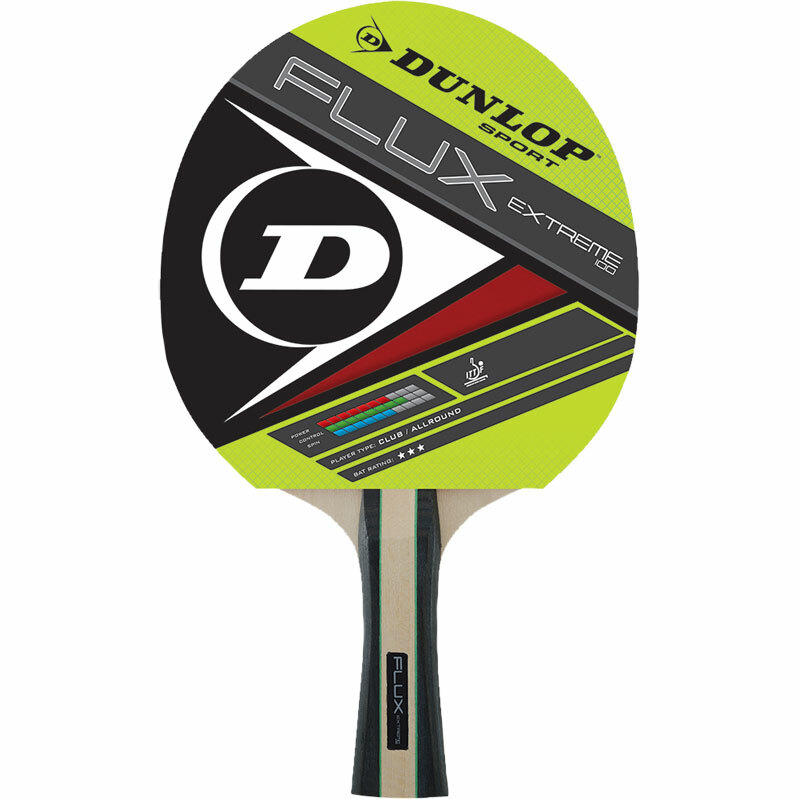 The Dunlop ® Flux Extreme Table Tennis Bat has been designed and developed with Dunlop's HD rubber that gives the player more power and an improved control. This table tennis bat has also got aero blade technology that has improved aerodynamics for noticeably faster swing speeds as well as Power Port that maximises swing weight for enhancing power. Recommended for the club/ all round player. Spin 60. Speed 70. Control 80.